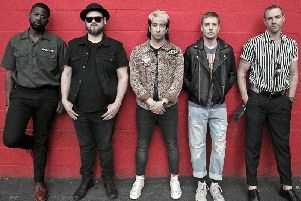 US metallers The Plot In You have completed the line-up of Slam Dunk’s Jagermeister stage after organisers revealed the latest addition to the festival’s line up. For years, the stage at the festival has been an integral part of its identity. Headlining will be UK metal titans Bullet For My Valentine who will be playing at Slam Dunk for the first time. They will be joined by metalcore stalwarts Atreyu, Story of The Year, emo icons Silverstein, heavy figureheads The Word Alive and metalcore favourites Wage War. 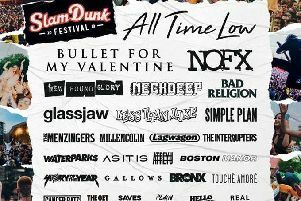 Slam Dunk is on Saturday, May 25, at Temple Newsam Park in Leeds and on Sunday, May 26, at Hatfield Park, Hatfield. All the acts playing on the Jagermeister stage join the likes of Bad Religion, Glassjaw, NOFX, The Bronx and Touche Amore who will all be playing across multiple stages at the festival.